The split to the shaft bearing can be built around the shaft without dismantling adjacent equipment or machinery. 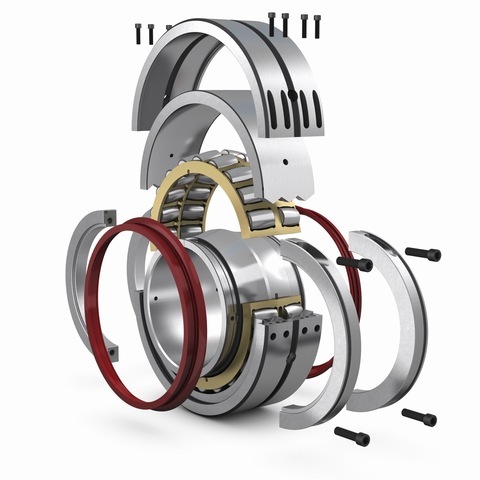 This means significant reductions in fitting time over solid bearings, with dramatic reductions in downtime and immense savings in plant maintenance. Savings are especially high in “trapped” or inaccessible locations. Wherever machinery is under pressure to perform in the most demanding operating conditions on land, underground or underwater, you'll find Cooper bearings going strong. Use our Product Selector to create 3D Models for download and help you select both bearings and appropriate housings. If you prefer to take advantage of our bespoke service, please contact us.